Foliage TypeLinear, basal, grass or sword-like. Color appears semi-evergreen to evergreen. Flower FormFunnel or bell-shaped, usual taking single or double forms. Some flowers may have ruffled edges. Additional InformationDaylilies can survive many hard conditions that other plants cannot, including polluted city environments. 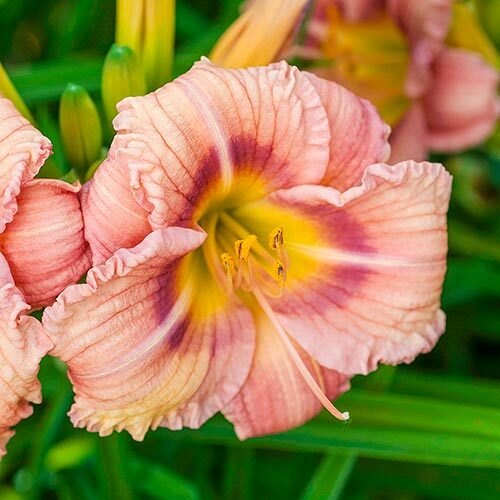 Daylilies are extremely adaptable perennials. 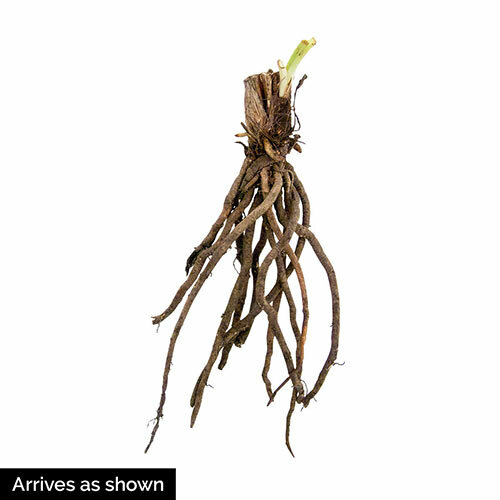 Planting InstructionsDig a hole deep enough to accommodate the roots without bending them. Roots should be just below the soil surface with the crown at the soil level.